Allegations that Russia interfered in the 2016 U.S. presidential election have gripped Washington and kicked off multiple investigations into the campaign of President Donald J. Trump. At the root of these inquiries are concerns about the security of the U.S. electoral process and fears that a rival power could influence an election’s results. President Trump has at times dismissed or downplayed claims that Russia interfered in the last presidential race, and has consistently denied that his campaign coordinated with Russian agents in any way. While the investigations are ongoing, and could carry on for many more months, they have already prompted a former Trump administration official and a former campaign advisor to plead guilty to lying to federal agents about communications with Russian nationals. Who accuses Russia of interfering in the election? The CIA, FBI, and National Security Agency jointly stated with “high confidence” that the Russian government conducted a sophisticated campaign to influence the recent election. President Vladimir Putin ordered the effort, the U.S. agencies said in a January 2017 report [PDF], with the dual aims of damaging Hillary Clinton’s presidential campaign and undermining the U.S. democratic process. “Putin and the Russian government developed a clear preference for President-elect Trump,” a declassified version of the report said. Russia denies these allegations. In June, Department of Homeland Security (DHS) officials said that individuals linked to the Kremlin attempted to infiltrate election-related computer systems in more than twenty states. Authorities do not believe that Russian hackers tampered with the vote count, but said they were likely scanning the systems for weaknesses. In February 2018, federal prosecutors led by Special Counsel Robert Mueller charged several Russian entities with crimes associated with an effort to interfere in the U.S. political system, including the 2016 election. What measures is Russia accused of taking? The Russian effort involved overt activities by government agencies, state-backed media, and paid internet “trolls,” as well as covert operations, including illicit cyber activities conducted by intelligence agents. The Russian government used state-funded media outlets, including the website and radio broadcaster Sputnik and television network Russia Today (RT), to disadvantage the Clinton presidential campaign, the 2017 U.S. intelligence report said. RT’s portrayal of Clinton during the run-up to the election, it found, “was consistently negative and focused on her leaked emails and accused her of corruption, poor physical and mental health, and ties to Islamic extremism.” Both Sputnik and RT produce media in several languages, including English, for international audiences. Russia also took its influence campaign to highly trafficked social media channels, including Facebook, Twitter, and YouTube. A Russian entity with links to the Kremlin known as the Internet Research Agency (IRA) is reported to have hired hundreds of “trolls” to post false news stories and socially divisive content on these and other platforms. Facebook, for instance, said the IRA posted content that reached more than 140 million of its users. The U.S. special counsel’s indictment alleged that a collection of Russian individuals and companies tied to the IRA waged a well-resourced campaign of “information warfare” against the United States beginning in 2014. The objective was “to sow discord in the U.S. political system,” including through operations to denigrate Clinton and favor Trump. Operating covertly and unlawfully, the Russian defendants ran social media accounts, bought political advertisements, and staged political rallies in the United States, prosecutors say. The conspiracy was allegedly part of a broader campaign known as Project Lakhta that targeted audiences in Russia and around the world. U.S. intelligence agencies have not determined if or to what extent Russia’s actions influenced election results. What are U.S. authorities investigating? There are multiple investigations into the role Russia played in the 2016 election. Mueller is leading a criminal inquiry for the Department of Justice (DOJ), the most high-profile investigation. He has a mandate to examine any links or coordination between Trump’s presidential campaign and the Russian government, as well as any matters that may arise from the investigation itself, including any efforts to obstruct it. 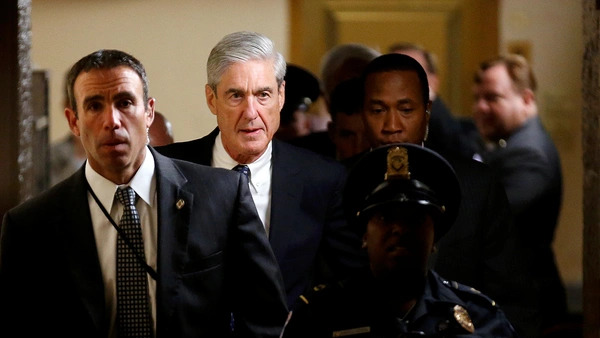 Mueller took over the inquiry from FBI Director James Comey, who was fired by Trump in May 2017. Mueller is prosecuting individuals for committing federal crimes. At the same time, both the U.S. Senate and House of Representatives intelligence committees, as well as the U.S. Senate judiciary subcommittee on crime and terrorism, have begun inquiries into Russia’s interference in the election. While congressional investigations may bring new information to light, they do not result in criminal prosecutions, except in the event of a witness refusing to comply with a subpoena or lying under oath. They can, however, result in legislation or other congressional action, including impeachment. As a matter of law, the central question is not whether members of the Trump campaign coordinated or colluded with Russia, but whether they conspired with Russians to break a criminal statute or they broke the law themselves. For instance, investigators will ask whether any member of the Trump campaign conspired with Russian agents to hack into Democratic National Committee (DNC) email accounts, which would be a violation of the Computer Fraud and Abuse Act. “Collusion” and “coordination” are not legally relevant terms, but they are often used as shorthand to refer to such a criminal conspiracy. Several senior members of the Trump campaign, including Donald J. Trump Jr., Paul Manafort, Jared Kushner, Jeff Sessions, and Michael T. Flynn, have acknowledged meeting with Russian officials or individuals with links to the Kremlin in the months leading up to the election. But these and other interactions may have been lawful. The special counsel’s 2018 indictment said that Russians posing as U.S. persons “communicated with unwitting individuals associated with the Trump campaign and with other political activists to seek to coordinate political activities,” but prosecutors say no American was a knowing participant in the crimes detailed in that document. President Trump has repeatedly denied that his campaign colluded with the Russian government. What results have the various investigations produced thus far? The investigations and intense media scrutiny associated with them have produced several remarkable developments involving members of the Trump campaign and presidential administration. In February 2017, Flynn resigned from his post as national security advisor amid revelations about his contacts with Sergey Kislyak, then Russia’s ambassador to the United States, before the inauguration. In October, Mueller obtained a guilty plea from one Trump associate and indicted two others. George Papadopoulos, a foreign policy advisor to the Trump campaign, pleaded guilty to making false statements to the FBI about meetings with Russian nationals. Paul Manafort, Trump’s former campaign manager, and Richard Gates, Manafort’s business partner, were charged with multiple counts, including conspiracy to launder money and failure to register as foreign agents. Manafort and Gates were allegedly unregistered lobbyists for the pro-Russia government of Ukraine for nearly a decade, work for which they were paid tens of millions of dollars that they then attempted to hide from U.S. tax authorities. In December, Mueller’s office reached a guilty plea agreement with Flynn, who admitted to making false statements to the FBI about his conversations with Kislyak ahead of Trump’s inauguration. In February 2018, Mueller’s office charged thirteen Russian individuals and three Russian businesses, including the Internet Research Agency, with a criminal conspiracy to defraud the United States. Some defendants were also charged with wire fraud, bank fraud, and aggravated identity theft. All defendants were outside U.S. jurisdiction at the time of the indictment. The same month, Mueller’s prosecutors obtained a guilty plea from Alex van der Zwaan, a Dutch-born attorney and son-in-law of a Russian billionaire. Van der Zwaan confessed to lying to U.S. investigators about his communications with Gates during a time when the two were lobbying for the government of Ukraine. Additionally, in a superseding indictment, the special counsel added new charges of financial crimes against Manafort and Gates, including filing false tax returns, failing to report foreign accounts, and committing bank fraud. Shortly thereafter, Gates pleaded guilty to two criminal charges, acknowledging he had conspired to defraud the United States and lied to federal investigators. When will the investigations end? There is no fixed timeline for the Mueller or congressional investigations, and experts say they could go on for many more months or even years. Past special counsel investigations have taken more than four years. Once Mueller has completed his investigation, he will be required to submit to the U.S. attorney general (or the acting U.S. attorney general in this case, because Sessions recused himself) a confidential report explaining his decisions on whether to prosecute. The official can opt to make the report public if doing so would serve the public interest. Can the president fire Mueller? Some Trump supporters have called on the president to dismiss Mueller, which has raised a debate over the special counsel’s independence. Per DOJ regulations, only the U.S. attorney general can remove the special counsel, and only with “good cause,” such as misconduct or dereliction of duty. However, some legal experts say the president can ignore these regulations and fire the special counsel for any reason if he feels the DOJ regulations infringe on his constitutional powers. Can the president be impeached as a result of the investigations? While treason and bribery are fairly straightforward offenses, there is much debate over what constitutes “high Crimes and Misdemeanors,” terms which are not defined in either the Constitution or federal statutes. Some legal scholars contend that only criminal conduct is impeachable, while others say that other abuses of office or violations of the public trust could be impeachable offenses. Some legal analysts and Democratic lawmakers say Trump’s actions warrant an impeachment inquiry by Congress. The process would begin in the House of Representatives, where articles of impeachment must pass with a simple majority of those present. The baton would then be passed to the Senate, which would conduct a trial and render a judgment. A conviction—removal from office—would require a two-thirds majority vote of senators present. In the 115th Congress (2017–2019), the Republican Party controls both the House and Senate.